Car rubbish collector | Keeps Me Out Of Mischief! Recently I got a new car. The old one was driving me mad as it guzzled fuel like there was not tomorrow and it was really too big for my needs. On the day we got rid of it my husband kindly said he would empty it ready for me to take to the garage to swap it for the new one. O.M.G Foolish man, he obviously hadn’t looked in the boot for a long time! My car is like an extension of my handbag, always full of rubbish and stuff that I really should put away where it belongs. When I got home I discovered he had posted a picture to Facebook of all the rubbish he’d removed! I was actually embarrassed! I really didn’t realise how bad it had got! He was horrified by the number of parking tickets and sweet wrappers! In my defence, the rubbish tray lid had been broken for about two years so I never had a place to put it! The new car is far smaller so I have to be far tidier! I came up with this idea after seeing Onceuponarainbow’s idea on Etsy. two pieces of fabric measuring cm, I used fabric from my stash – the inside was made from a thin oilcloth from IKEA, the outside from a fat quarter. two pieces of ribbon measuring cm. Fold each piece of fabric in half and sew along the one short and the long side. Place the fabrics right side together inside one another. Pin the ribbon as shown in the picture below. 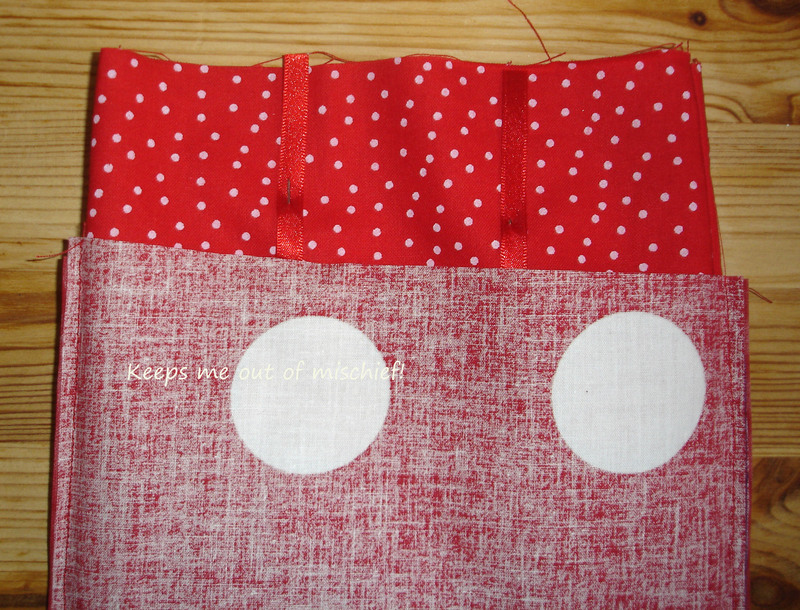 Sew around the top to join the two bags together, make sure you leave a gap to turn it the right way. 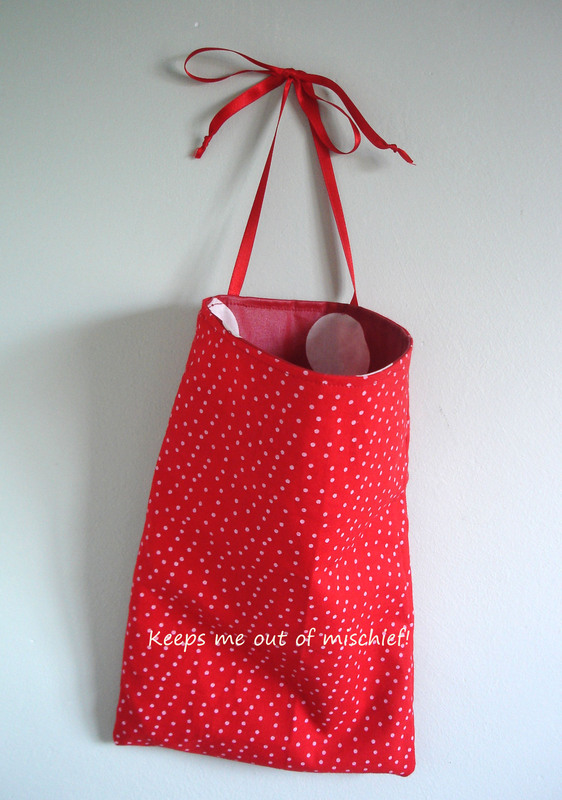 Turn the bag the correct way and sew around the top of the bag, making sure you hide all the fabric edges. Use the ribbon to tie the rubbish collector to a door handle or to the back of a headrest so that everyone can reach it. Just remember to empty it every so often! « Bank Holiday Boredom Buster! I love this idea! my car is always a tip! It’s really made a difference in my car! Just got to train everyone else to use it when they’re in there!